GUENTER O. SEIDEL, age 91 of Parma. Beloved husband of Sofie (nee Uhrich) for 70 years. Devoted father of Norbert Seidel (Sarah); cherished friend of many. Passed away on Thursday, March 21, 2019. 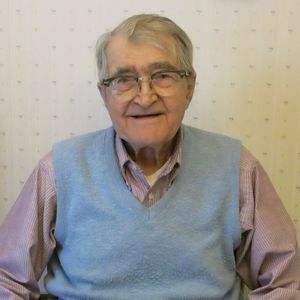 Service at the funeral home on Thursday, April 4, 2019 at 12:00 PM. Entombment at Brooklyn Heights Cemetery Mausoleum, Cleveland. Friends may call at the BUSCH FUNERAL HOME, 7501 RIDGE ROAD, PARMA FROM 3:00 PM-7:00 PM, WEDNESDAY, APRIL 3. Add your thoughts, prayers or a condolence to Guenter's guestbook.